Posted on 19 Mar 2013, 5:31 pm, by admin, under Car. It might be the Spring Equinox tomorrow but this particular spring was off my car! 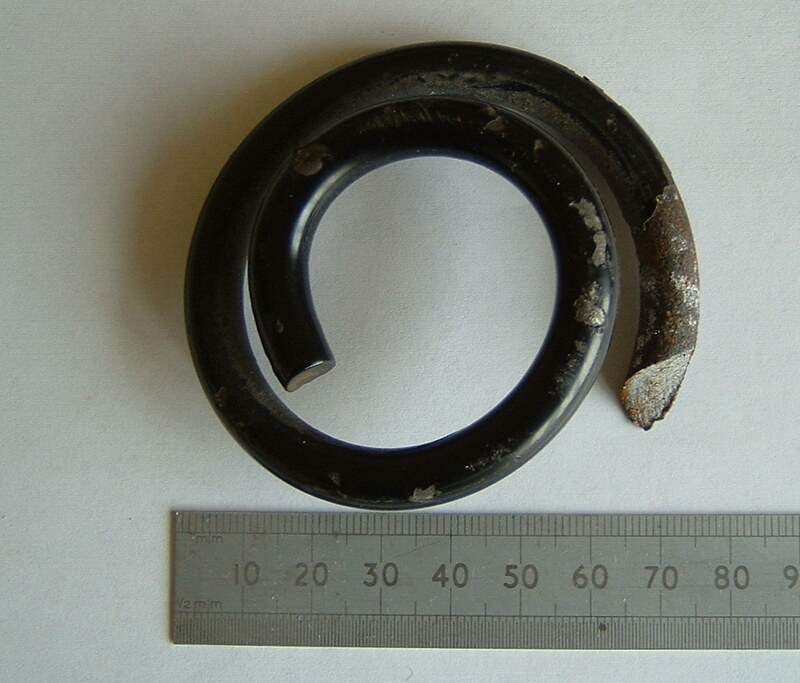 Admittedly my car’s not as young as it used to be but this is the second road spring to make a bid for freedom. I’ve had quite a few cars in my time and this is the first that has broken road springs. Maybe it’s all the potholes that are becoming almost impossible to navigate around. Mind you, I’ve seen stronger springs on a pram.